Hell's Kitchen Season 8 Where Are They Now? 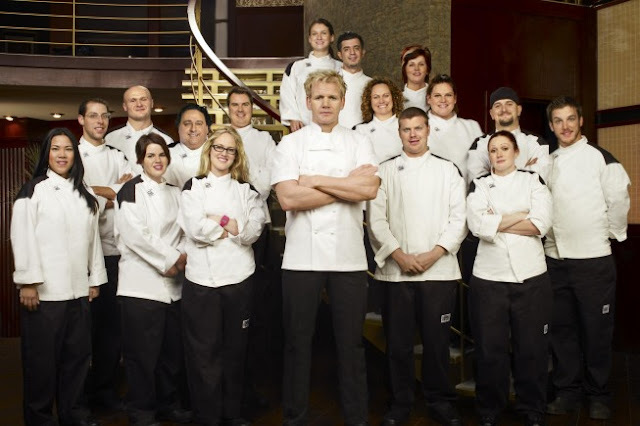 Hell's Kitchen Season 8 aired September 22 to December 15, 2010 on Fox Network, there were 16 contestants and the prize for the winner was Head Chef position at the JW Marriott Hotel at L.A and to be spokesperson for Rosemount Estate Wines. Find out what the Hell's Kitchen Season 7 contestants did next after appearing on Hell's Kitchen with Gordon Ramsay. Hell's Kitchen Season 8 where are they now? Antonia Boregman was a Line Cook from Chicago, Illinois. She left in show 1 after suffering from a migraine and collapsing before being rushed to hospital. After the show, she recovered and moved into selling soft furnishings and fabrics. Boris Poleschuk was a Catering Chef from Manalapan, New Jersey. He was eliminated in show 8 due to the inconsistency of his performace. 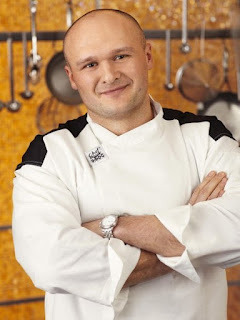 After the show, he became Executive Chef at The Loft Steakhouse in Brooklyn, New York, with excellent reviews on the food. 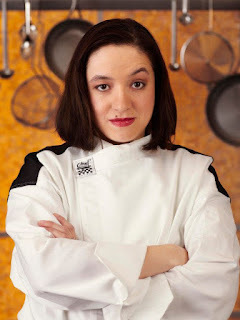 Emily Kutchins was an Executive Chef in a Nursing Home from Chicago, Illinois. She was eliminated in show 5 due to her lack of effort shown so far and also her lack of passion in her food. After the show, she returned to the kitchen before becoming Director of Catering at Foodstuffs. 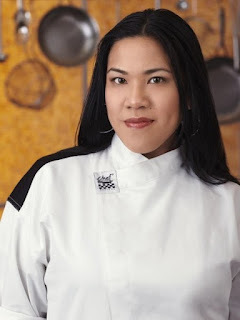 Gail Novenario was an Executive Chef from Wantagh, New York. She was eliminated in show 12 due to her inconsistent performances that had worsened in the past three services. Gordon was disappointed in her as he felt she could have gone much further in the competition. After the show, she worked at Rural Society in DC. Jillian Flathers was a Sous Chef from Pagosa Springs, Colorado. 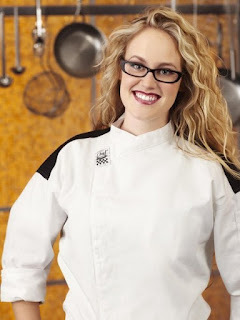 She was eliminated in show 14 as Gordon felt that other contestants were stronger, he allowed her to keep her jacket and praised her determination and passion for cooking. After the show, she returned to the kitchen at Plaza Grill and briefly worked at Freddy's Steak house before resigning. She intended to open her own restaurant. Lewis Curtis was an Executive Chef from Beebe, Arkansas. He was eliminated in show 2 after he struggled on sushi leading to the failure of the team. After the show, he returned to Lulav before cooking at various cookery events, Farm to Table dining and launching catering company Chef Lewis and Chef Rob Catering. 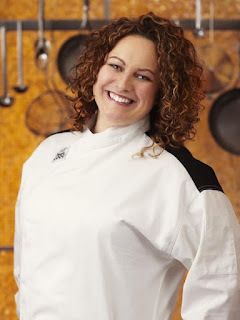 Lisa LaFranca was Corporate Food Director from Brooklyn, New York. She was eliminated in show 1 as she was in over her head and had a terrible performance on the fish station. After the show, she returned to the Corporate world as a Food and Beverage Director. Louis Repucci was a Chef at a Childrens Camp from Diamond Bar, California. He was eliminated in show 4 as he had performed the worst during the evening service. 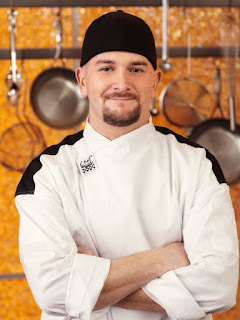 After the show, he became an Executive Chef at Boulder Creek Brewery before moving into management. He is currently an Independent Consultant. 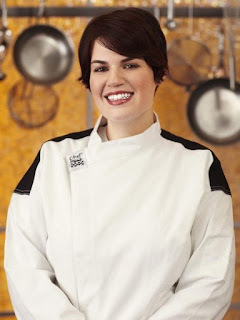 Melissa Doney was an Executive Sous Chef from Albany, New York. She was eliminated in show 6 due to making too many simple mistakes and her declining performances. 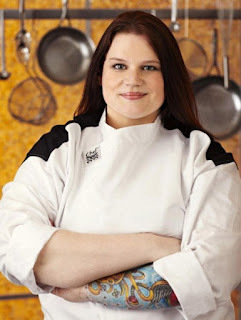 After the show, she returned to her previous role at Fort William Henry Resort before becoming a Culinary Instructor and Area Chef for a Supermarket chain. 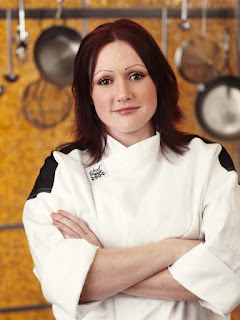 She is currently Executive Chef at Browns Brewing Company. Nona Sivley was a Sous Chef from Atlanta, Georgia. 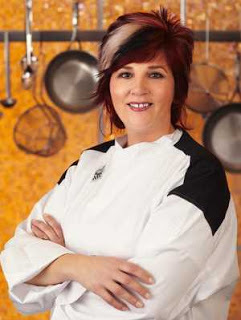 She was the Hell's Kitchen season 8 winner due to her impressive improvement during the series and her passion for cooking. After the show, she took up the Head Chef position at LA Market, with her winning menu being add to the restaurant menu. She left after three years to help her mentor Kerry Simon open his first restaurant Pork & Beans. After the restaurant opened she started her own catering business called Sizzling Peach. 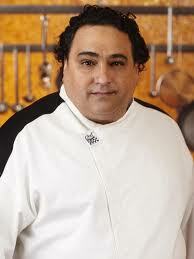 Raj Brandston was a Personal Chef from Queens, New York. He was eliminated in show 3 due to his poor performances and failure to get along with his team. 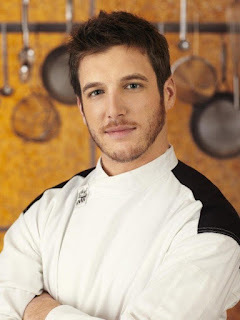 After the show, he returned to his career as a personal chef. 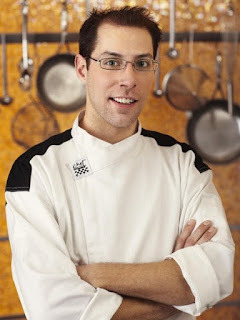 Rob McCue was a Chef for a Law Firm from Brooklyn, New York. He was eliminated in show 9 for his consistently poor performances, Gordon felt he had kept him in the show too long. After the show, he appeared on Bravo TV show Chef Roble and Co and now runs gastropub The Fat Monk in NYC. 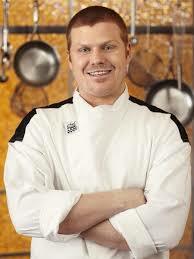 Russell Kook was a Sous Chef from Madison, Wisconsin. He was runner up of season 8 and didn't take his defeat with grace instead blaming his team for losing. 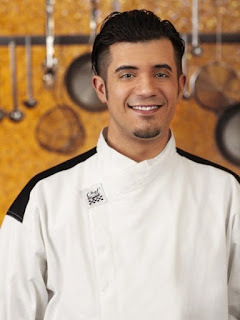 After the show he appeared on Iron Chef and ran kitchens at The Florentine, Chicago Cut Steakhouse, 8UP, Concetrics and is currently Executive Chef at Hugo's Frog Bar. He also helped open a number of successful restaurants. Sabrina Brimhall was a Prep Cook from San Diego, California. She was eliminated in show 11 due to her immaturity and her inconsistent performances but recognised that she had a big heart. After the show, she worked at Spagos and currently works at the Barona Resort. Trevor McGrath was a Line Cook from Chicago, Illinois. He was eliminated in show 14 but was praised by Gordon for his determination shown during his time on the show. 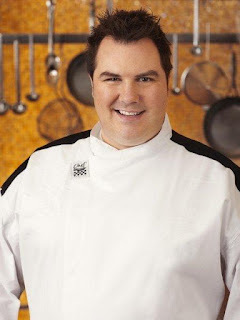 After the show, he worked in television for CNBC and Food Network as a consultant. Vinny Accardi wwas a Line Cook from Queens, New York. He was eliminated in show 10 due to his deteriorating performances. After the show, he opened his own restaurant Room 55 in Glendale, NY with excellent reviews. Actually I'm NOT A BEAUTICIAN!!! So, go on then. Straighten it out! We'll wait. I heard that Antonia moved to New York City and worked as a sales associate at Mood Designer Fabric and now works at Etsy, a large vintage shop. Binge watching all Seasons of Hell's Kitchen! Love Nona! I'm glad she won. Wish I could eat some of her cooking! !